When it comes to computers, I like to think that I know a fair amount. I can troubleshoot with the best of them, and I know that Ctrl+Alt+Del can save the day sometimes. However, when it comes to the inner workings of computers I will be the first to admit that my knowledge falls short. The coding language that makes programs work is a matter I have yet to conquer. That is why I find it so amazing when people – especially young people – are able to learn and build creations out of right combination of keystrokes. Because of that fascination, I am happy to share our new Teen Coding Camp that will be available to teens in grades 7-12 this summer at the Nevins Library. Led by two high school students who have participated and graduated from their own coding instruction, teens are welcome to come and learn the basics of computer codes like HTML and CSS. The club runs all summer and there is still space to sign up! The club is perfect for the beginner and for those teens who have already dabbled in coding. Starting July 5th, each Wednesday the Coding Club will meet. One week will be spent learning some coding, which will then be used in a project the following week. It’s a great opportunity to really learn and use the codes. For more information and registration click HERE or contact Amy at 978.686.4080 ex. 35 or nevinsteens@gmail.com. Be sure to sign up before the classes fill up! I’m so excited to see what will be created through this club! Categories: Programs, Teens | Tags: coding camp, computer coding, computer programming, CSS, HTML, teen | Permalink. The Hour of Code happens every December 8th. To celebrate, the library holds events and programs and encourages people to learn a little computer language for free through online resources. It’s fun! 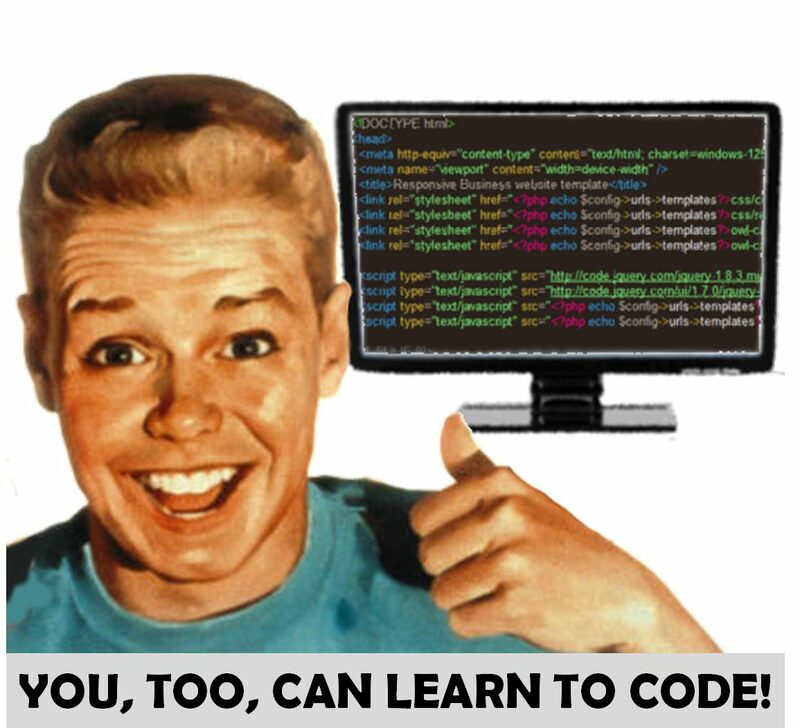 Plus, knowing a little HTML or Java can open up tons of career opportunities. Check it out! Categories: National Observation, Programs | Tags: computer code, computer programming, day of code, hour of code, library | Permalink. I am something of a computer nut. This won’t come as a surprise to anyone who knows me – if it’s blinking, I’m up for it. However, I come from an unlikely background. English, anyone? With a background in creative writing, even? In all seriousness, my second degree – the one that landed me in Libraryland – was much more tech-focused than my first. But, Johnny-come-lately that I was, I didn’t have a chance to focus on high-end programming languages as much as I’d have liked. Enter Safari Books Online. A book that teaches your children to code Ruby. It doesn’t matter what you want to learn. You can be a hardware geek. You can be an experienced big-data data cruncher. You can be a child. Safari will take you where you want to go by providing the textbooks that software developers use in college. The computing textbooks are far and away the best reason to use Safari. However, a tremendous number of Make: books are also available, which include titles that can teach you to make stuff like the pioneers. (Early life hacking?) All of the For Dummies books are there too – because why not? – and there’s a category for personal and professional development, even down to marriage and family health. There’s no wait for copies as there is with OverDrive and Axis 360, but this is because copies are not downloadable. Since so many computing textbooks are best used while propped open next to a keyboard and a steaming mug of coffee at 2:30am, it can be a little hard to utilize the book as it lives online. A library account won’t let you bookmark your place, either. (A paid personal account will.) However, using a tablet to access the book and then simply keeping it open is a viable, if not ideal, workaround. Considering the variety and usefulness of the books available here, I find it worth the inconvenience. This is especially true since the staggering volume of computing material present represents hundreds of thousands of dollars more in specialty information than even the largest and best-funded public library could hope to stock. If you’re in the mood to learn something esoteric, like COBOL, Safari should be your first stop. If you want to expand upon your skills or acquire new ones, Safari is your go-to. Even if your goal is to sort through programming books with intention to borrow or buy a paper copy, Safari is an invaluable resource. I recommend it to geeks and non-geeks alike. Categories: Databases, Literary Resources | Tags: computer programming, computer resources, computing, Safari | Permalink.